High winds damaged a marina near Horseshoe Bay ferry terminal resulting in several sailing cancellations earlier today. A video posted on Twitter shows the damage resulting from windy conditions. 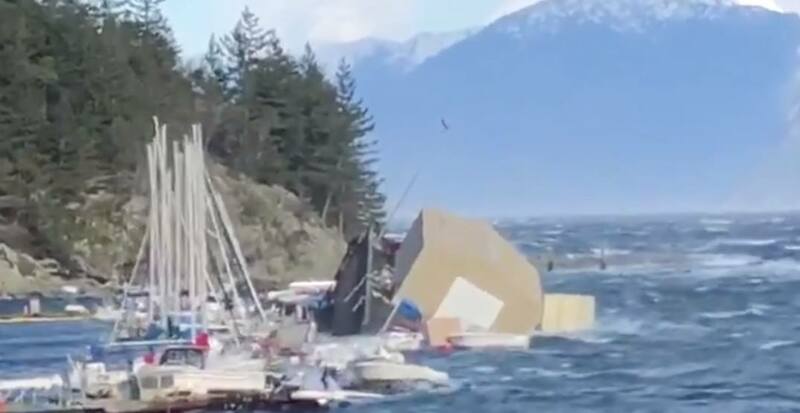 Deborah Marshall with BC Ferries said Sewell’s Marina, which is right next to the terminal, was “heavily damaged” and left debris floating in the water. According to the BC Ferries website, nearly all sailings from Horseshoe Bay to Departure Bay were cancelled earlier today. Service has been temporarily resumed for some sailings, but travellers should check the BC Ferries website or Twitter page for current updates.